This entry was tagged Favorite books, Jane Austen, The Loft. Bookmark the permalink. I recommend starting with Emma. Or Pride and Prejudice. 🙂 But I wouldn’t have been able to read the books without the movies. Often, I end up enjoying the books more! I’m a bit embarrassed to admit I have never read a Jane Austin book. I absolutely love the movies based on her work, so perhaps I need to add one or two titles to my reading bucket list. Great suggestions here! We love Little House books! Coming from the loft! I love many of your selections. I also love the quote from Jane Austen. Though I love the movies, I have to say I feel better having just read the books because I get weary of seeing women whose days are filled with piano playing, letter writing, dried flower bunching, walking, letter writing, hiring and ordering servants around, reading, stitching, MAYBE hanging out some clothes to dry….. I wouldn’t have survived those empire waist days of wasted time…. Oh my word, I have not read a single one of the books you listed! I’ll definitely have to look into some of them. Fiction and bio/autobios are my two favorite categories. Thanks for this wonderful list. Thank you for reading! I forgot that I didn’t add Jane Austen and edited to add! 🙂 I enjoy autobiographies too. I love kids books too! My favorite part of homeschooling is reading old favorites to my kids. 🙂 Thank you for your kind words and prayers. You have a great list and I have read several of them. Nice variety too. Paddington…yes! Oh, I love Paddington! 🙂 And I’m with you – to share any more than what I already shared would require a whole new post. This was such a great topic for this week! 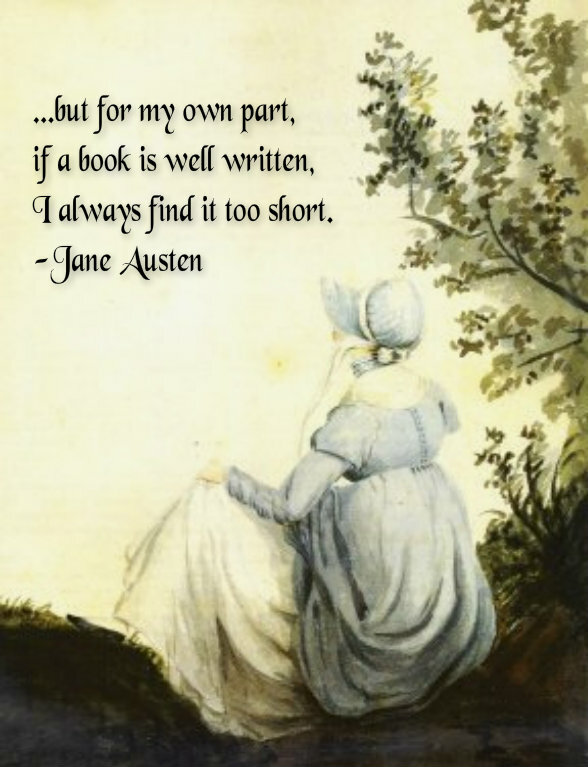 And Jane Austen – I love so many of her works! Thanks for sharing with us! Now I’m more determined than ever to get some more reading done this weekend! 🙂 Blessings!! Aunt Grace recommended -The Kitchen House- a real page turner! !